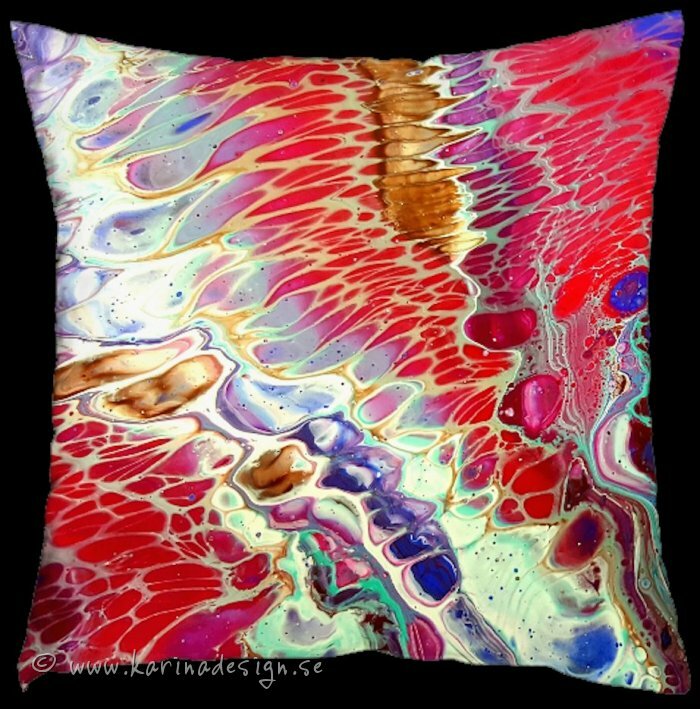 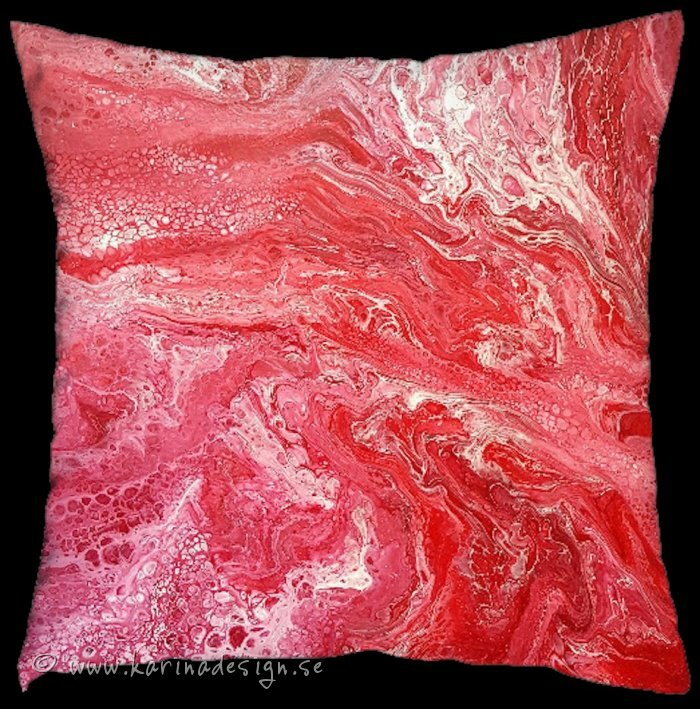 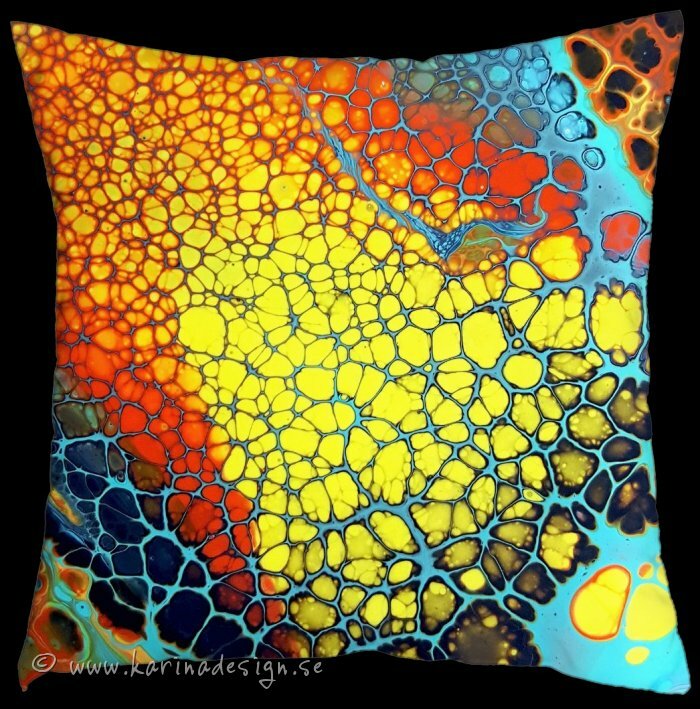 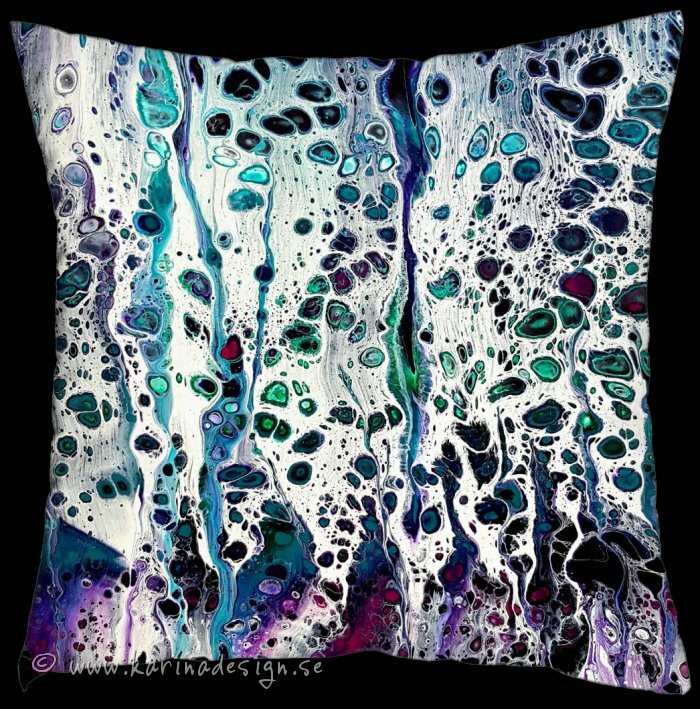 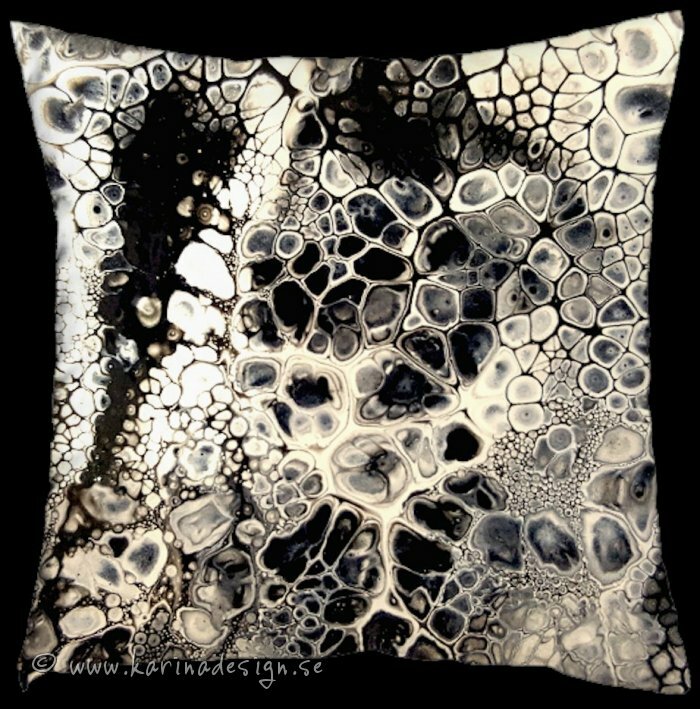 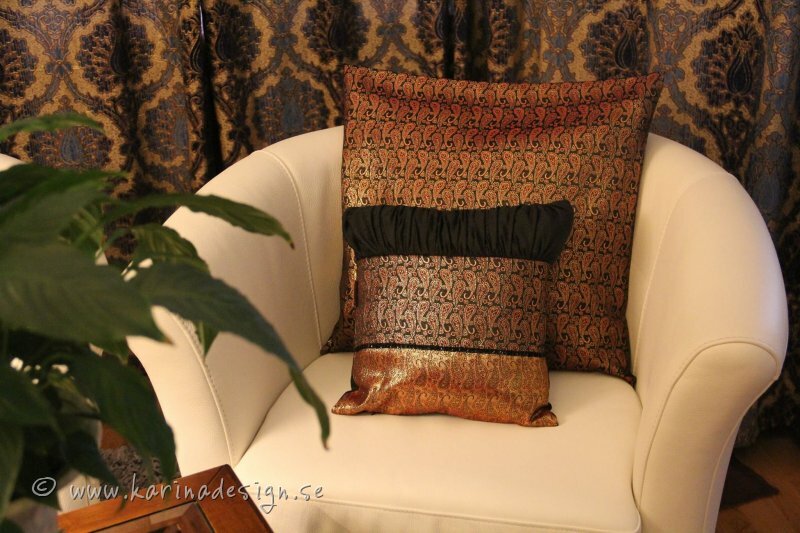 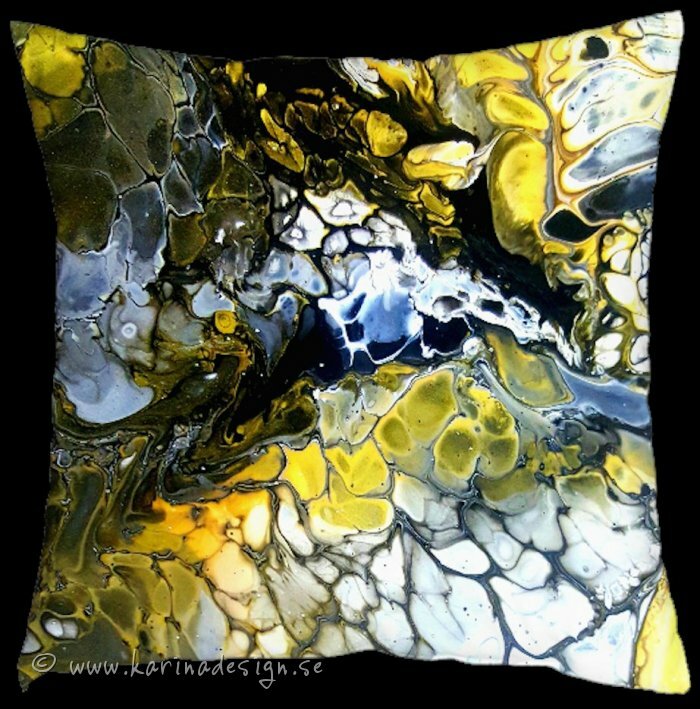 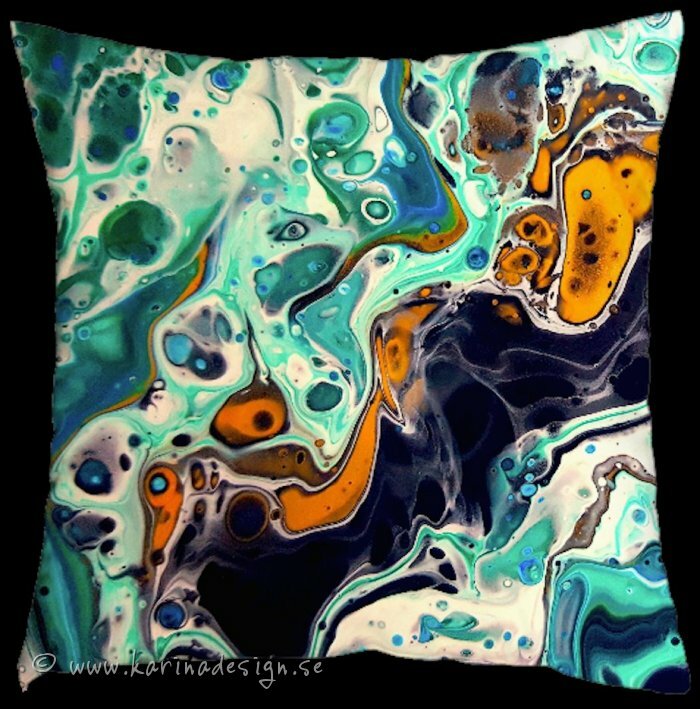 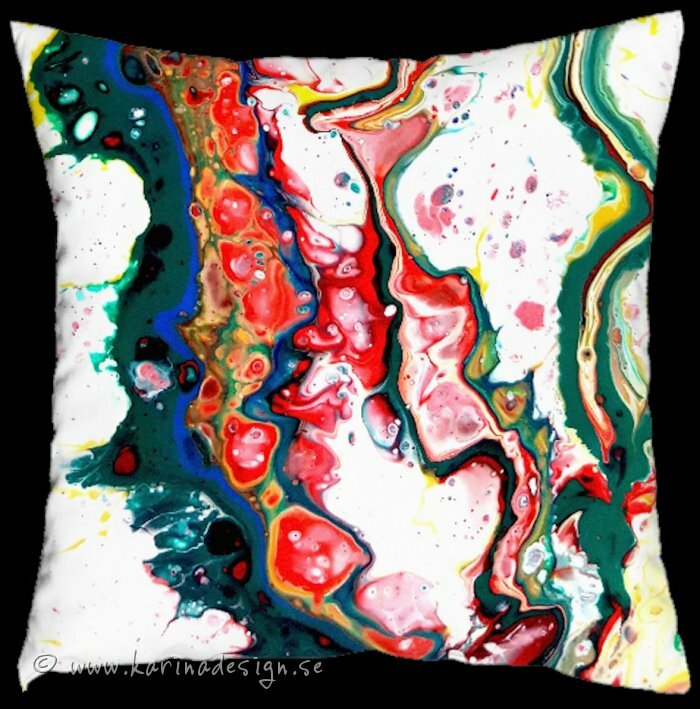 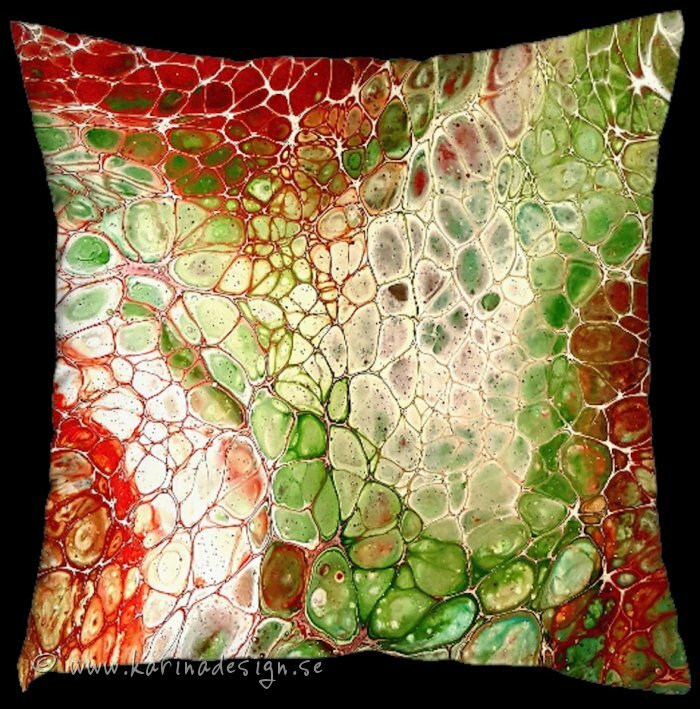 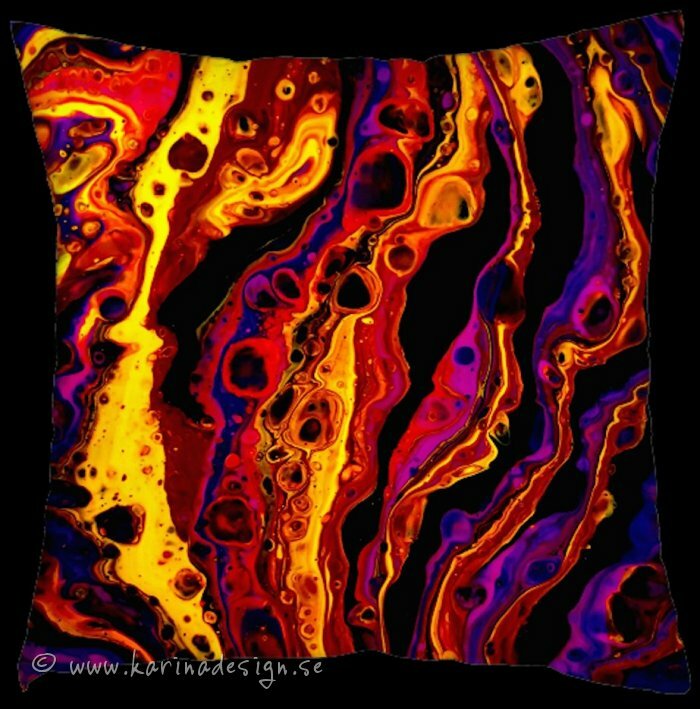 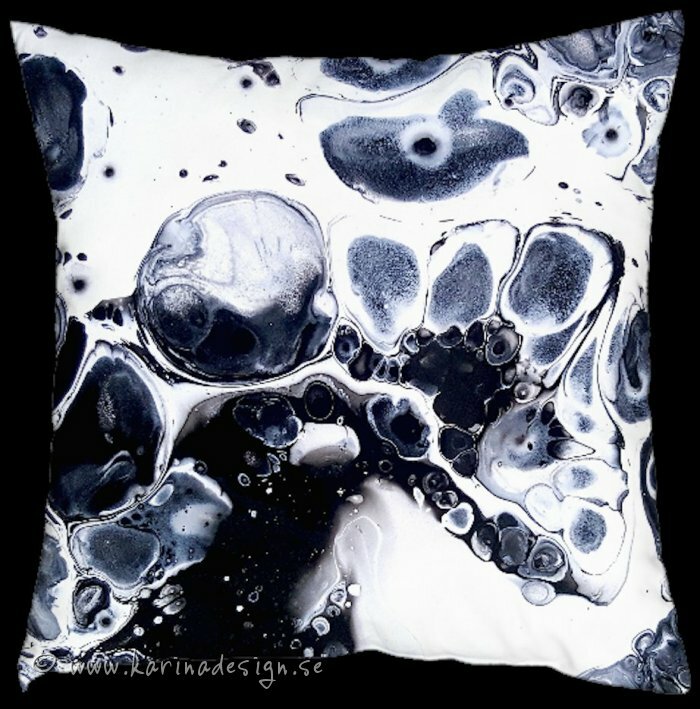 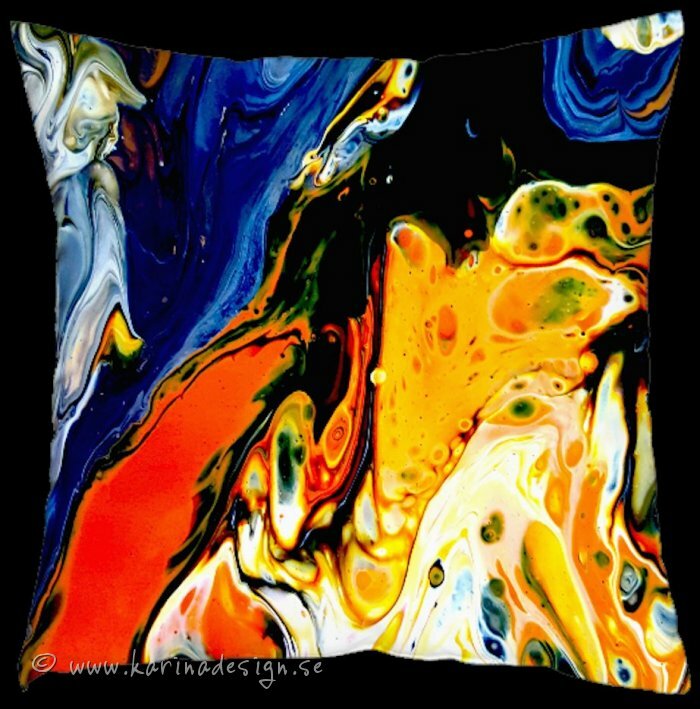 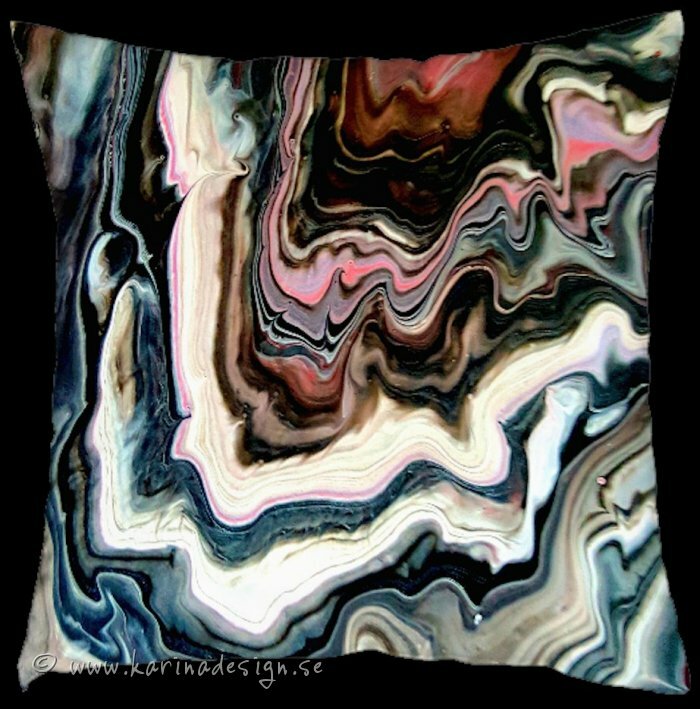 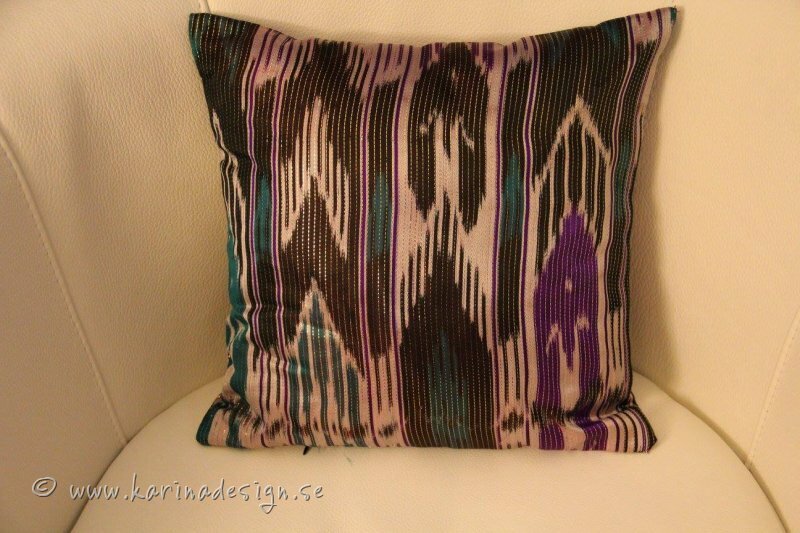 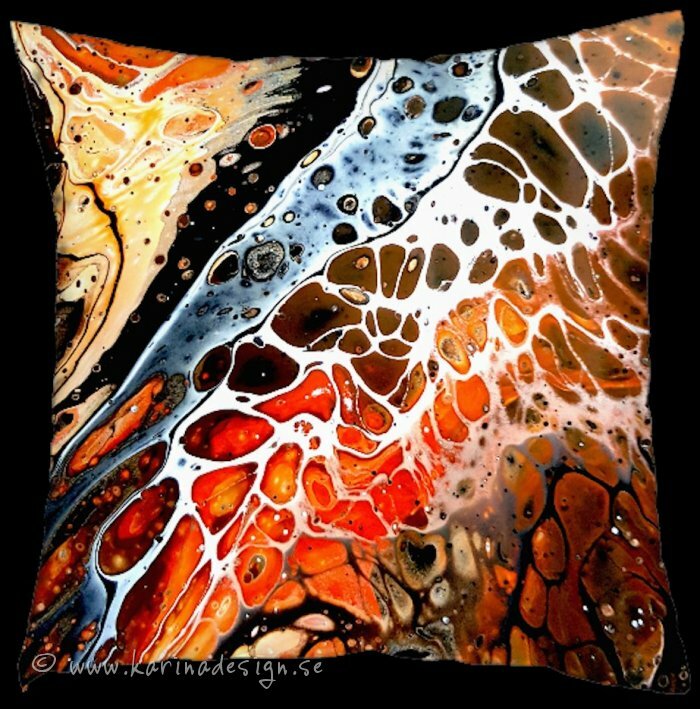 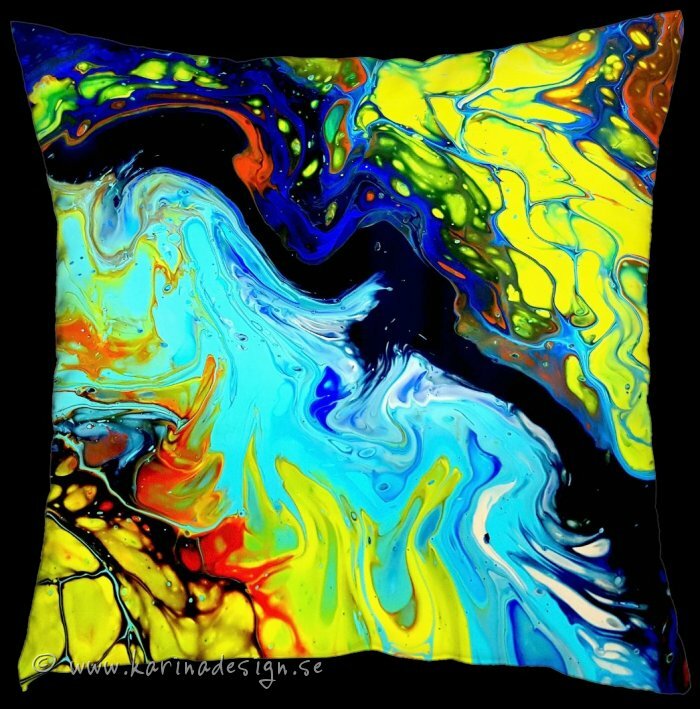 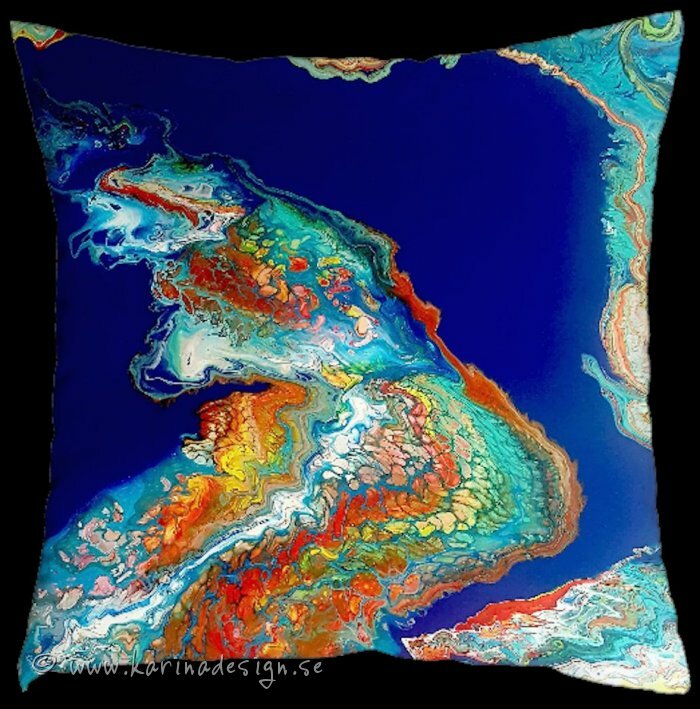 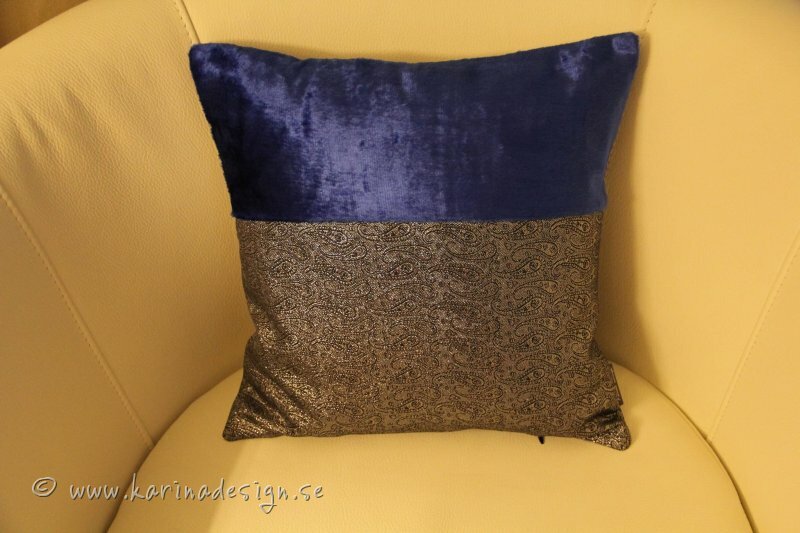 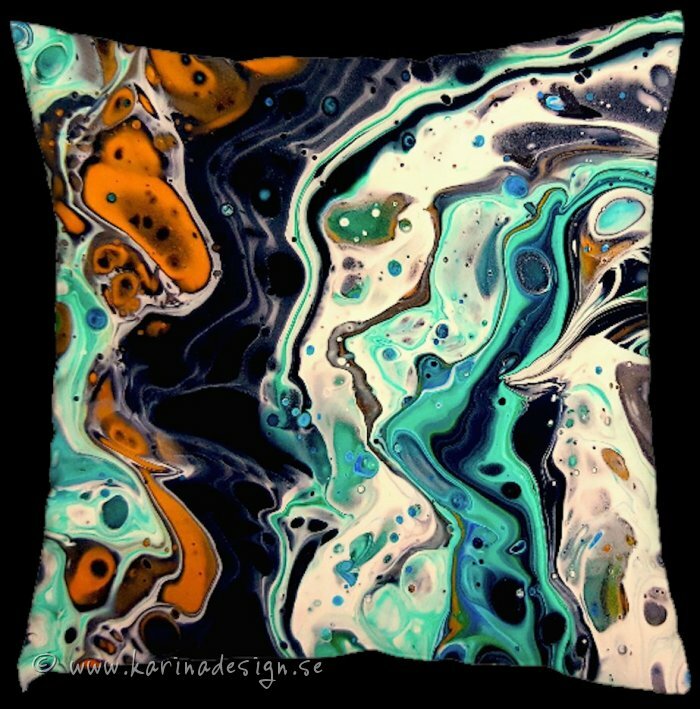 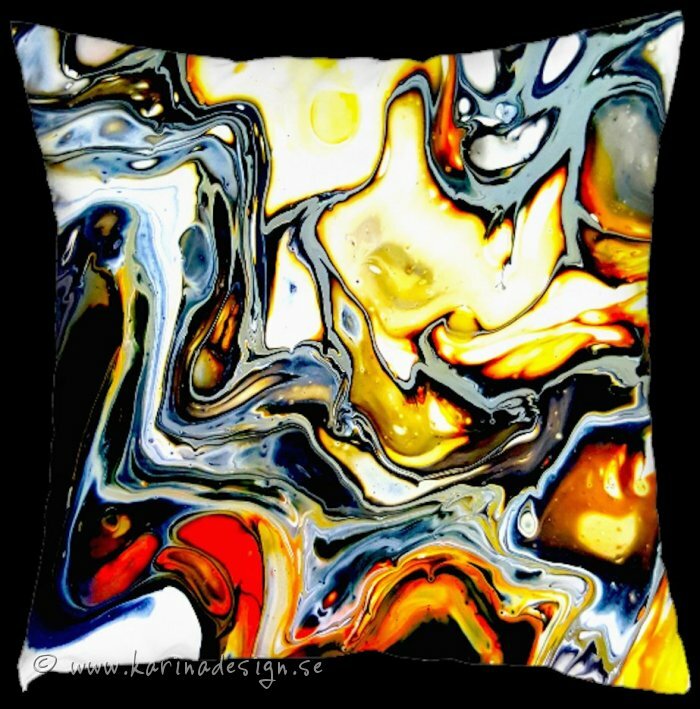 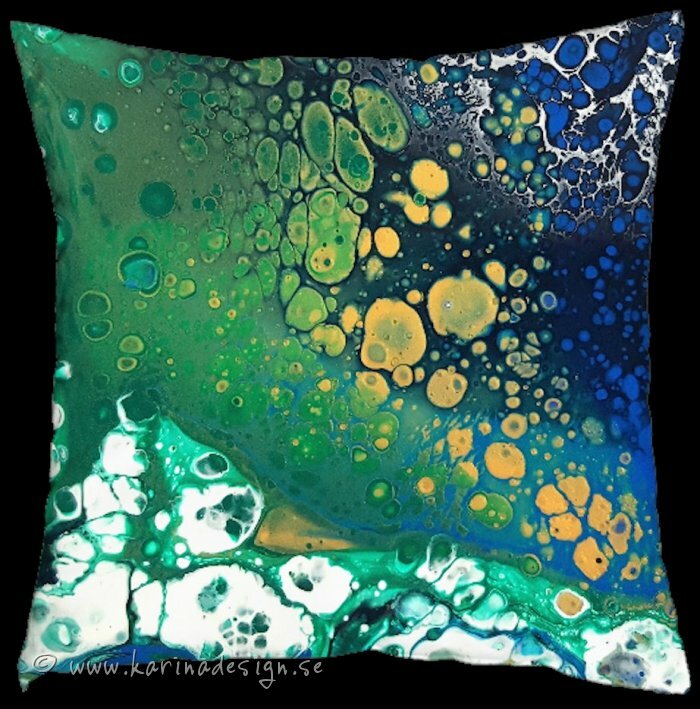 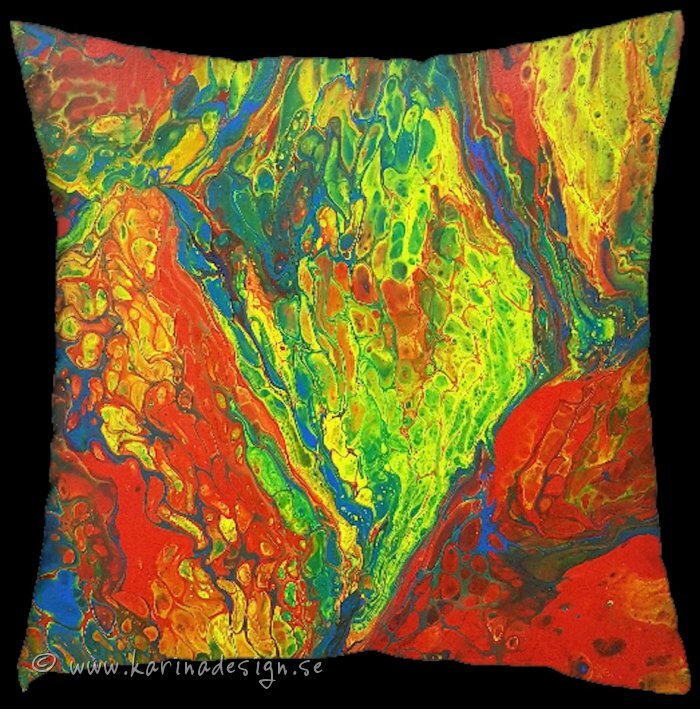 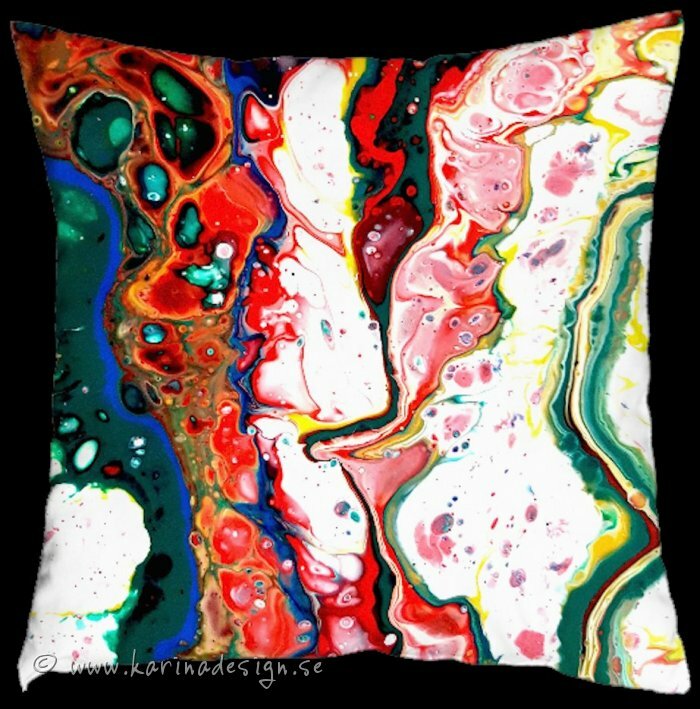 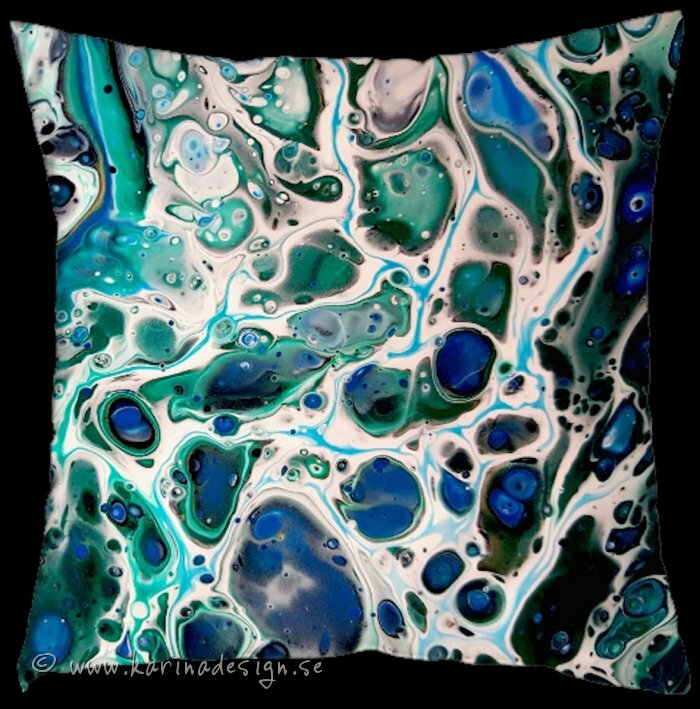 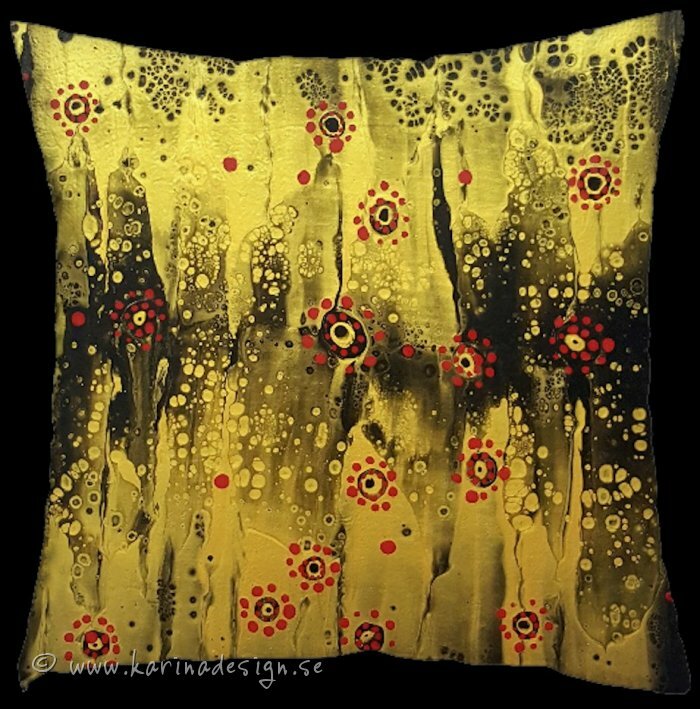 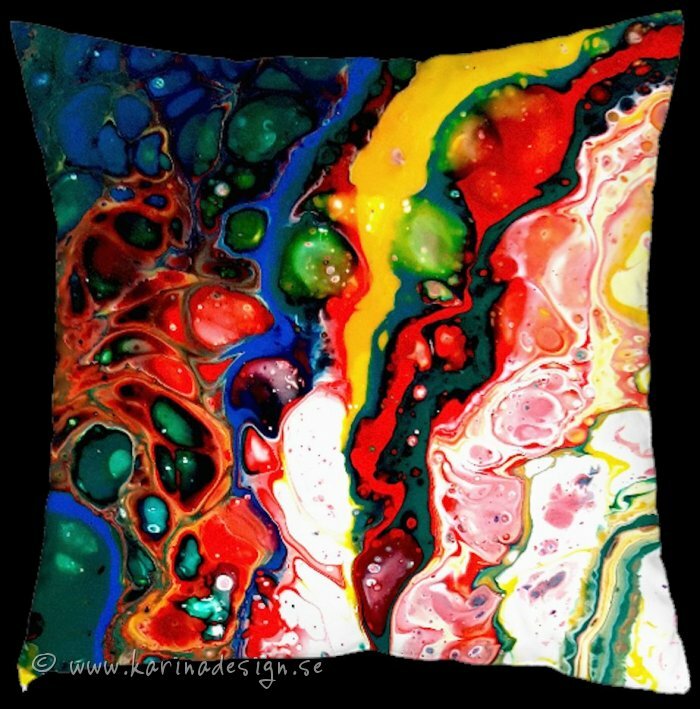 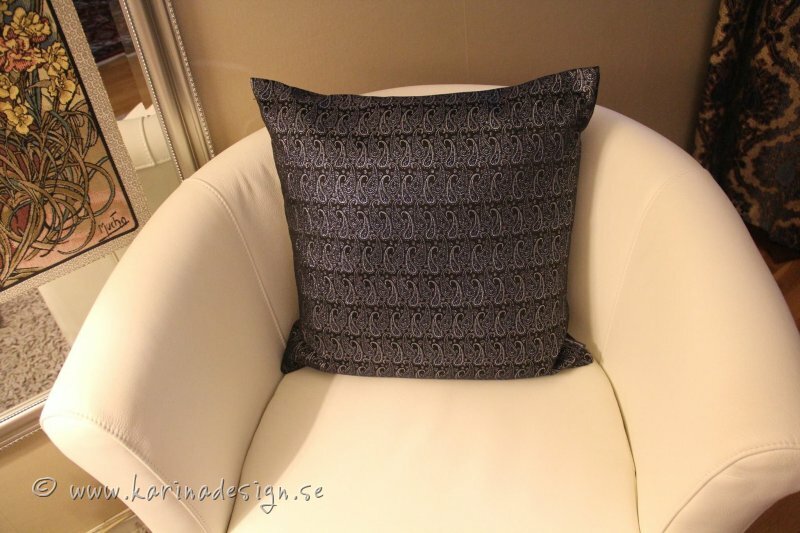 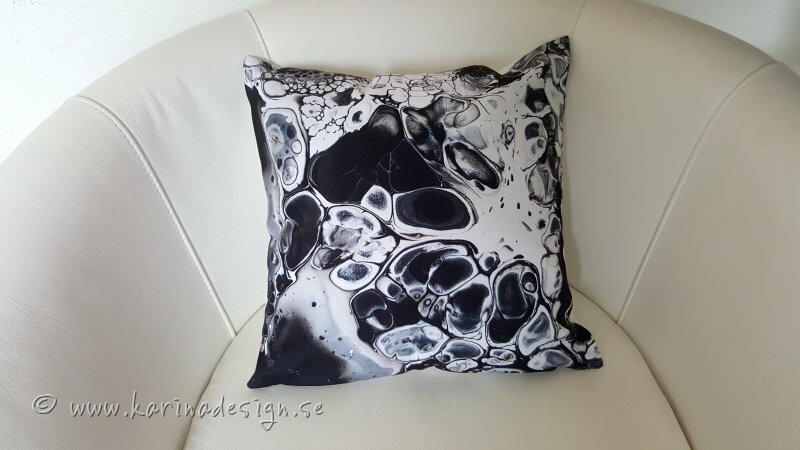 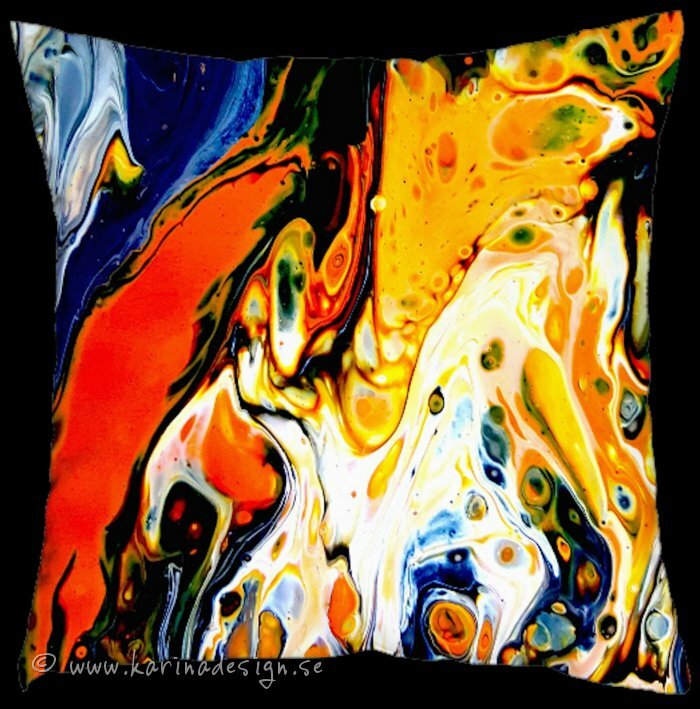 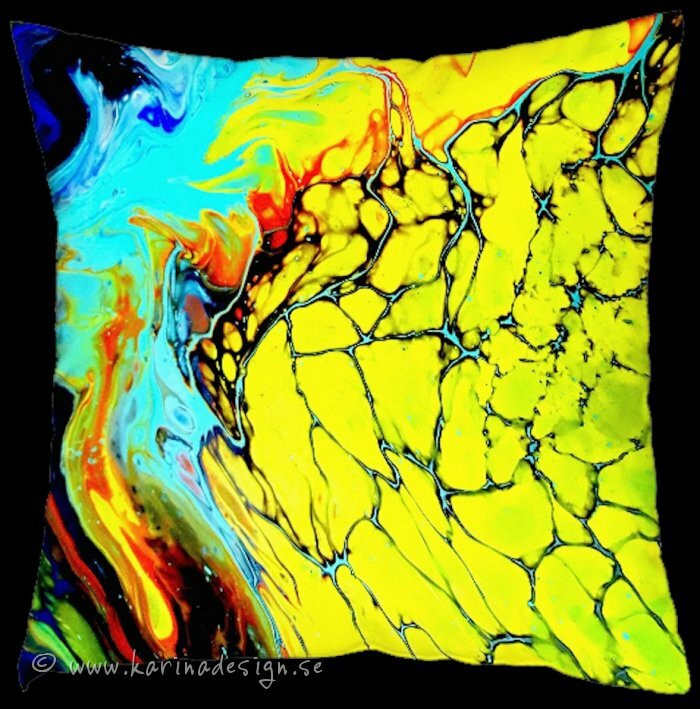 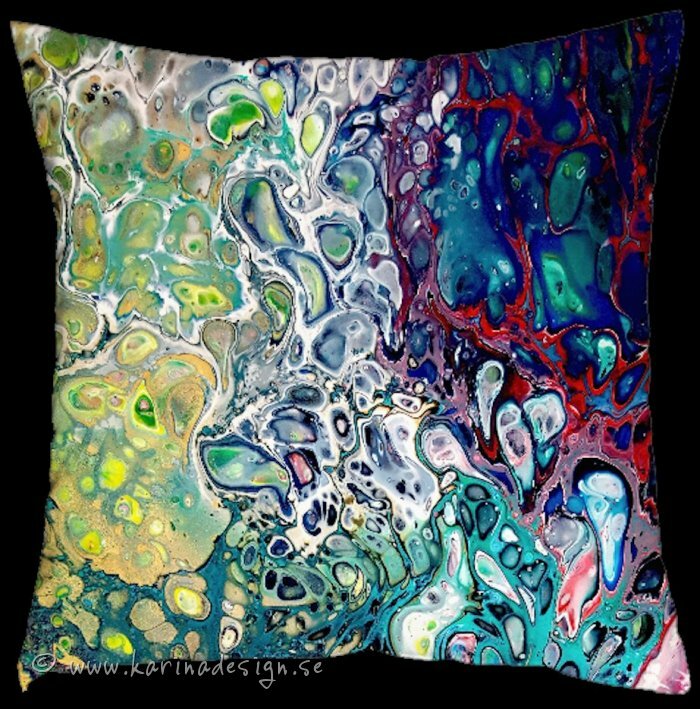 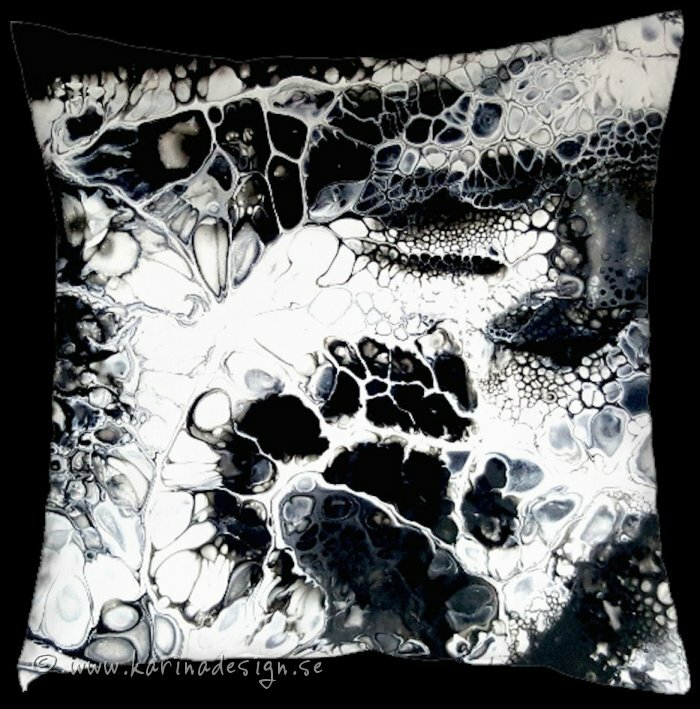 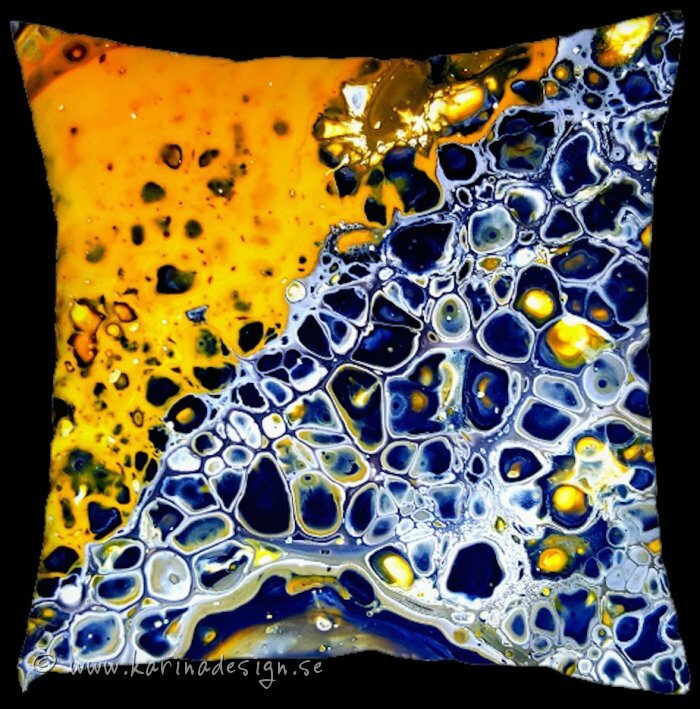 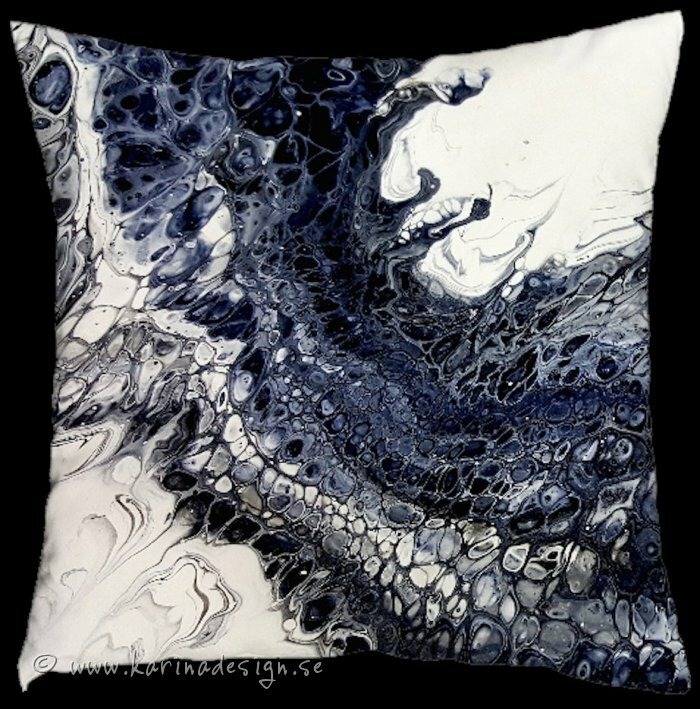 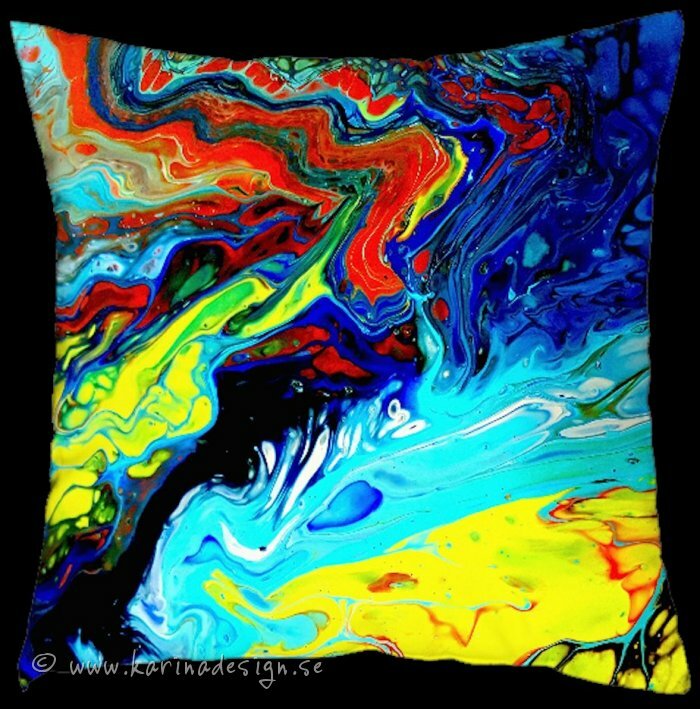 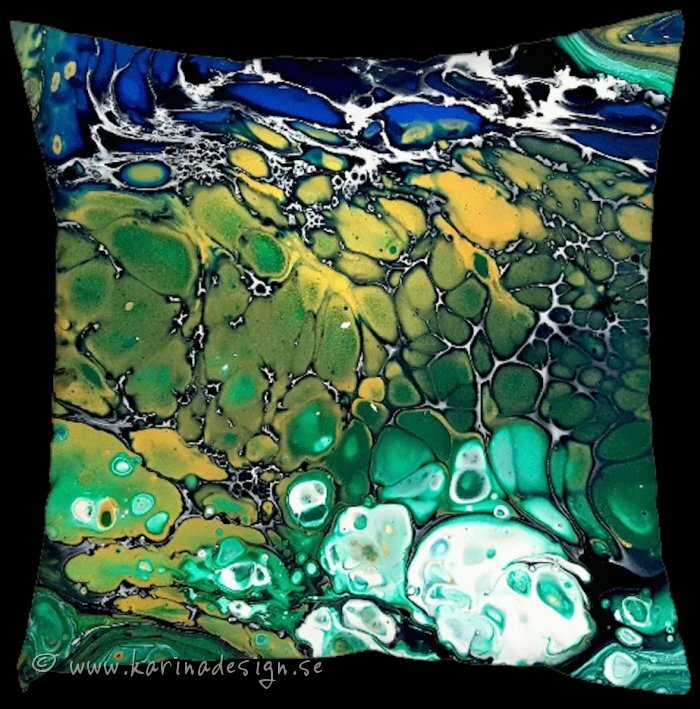 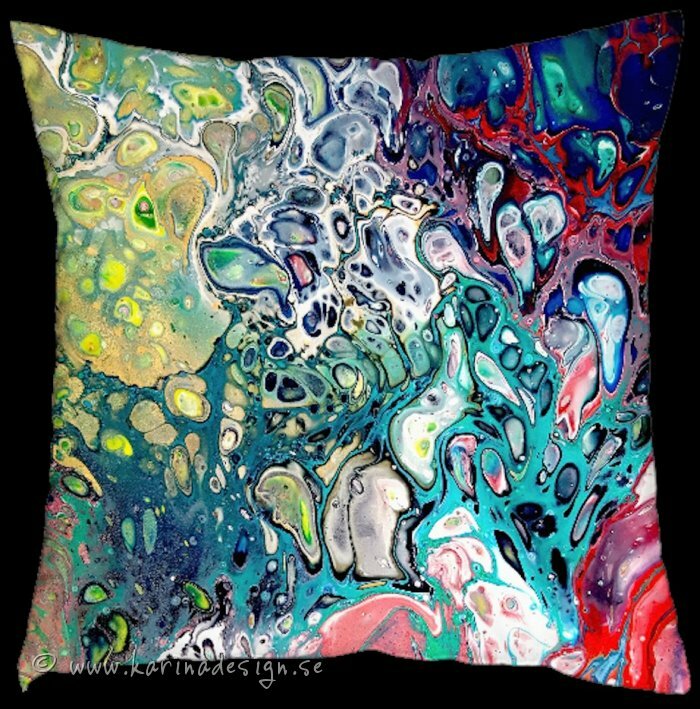 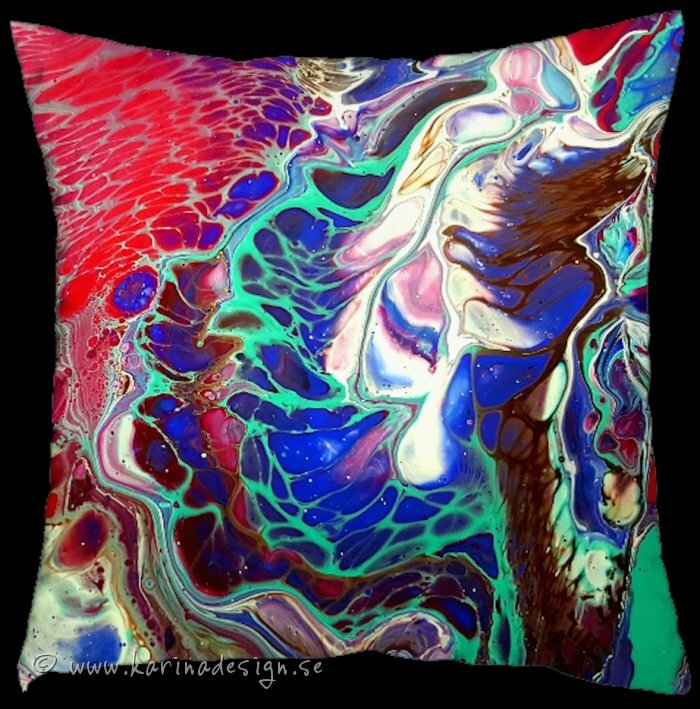 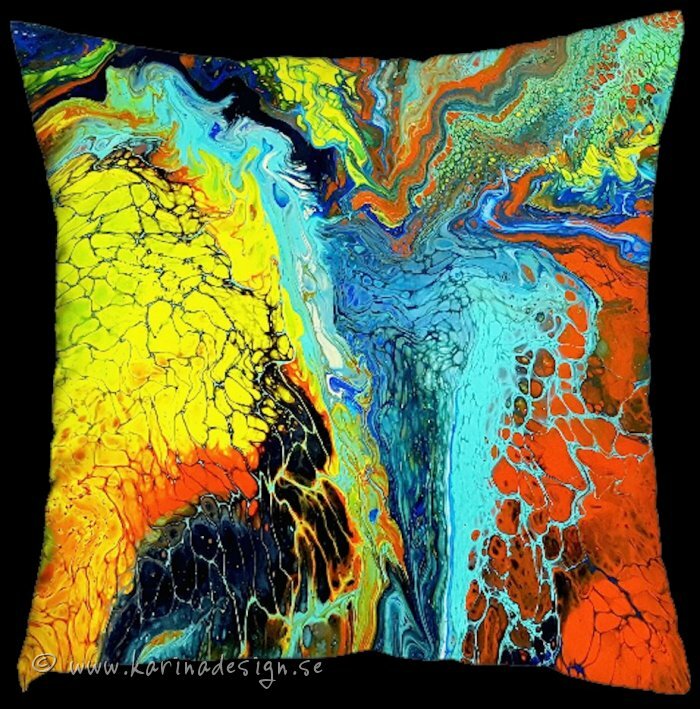 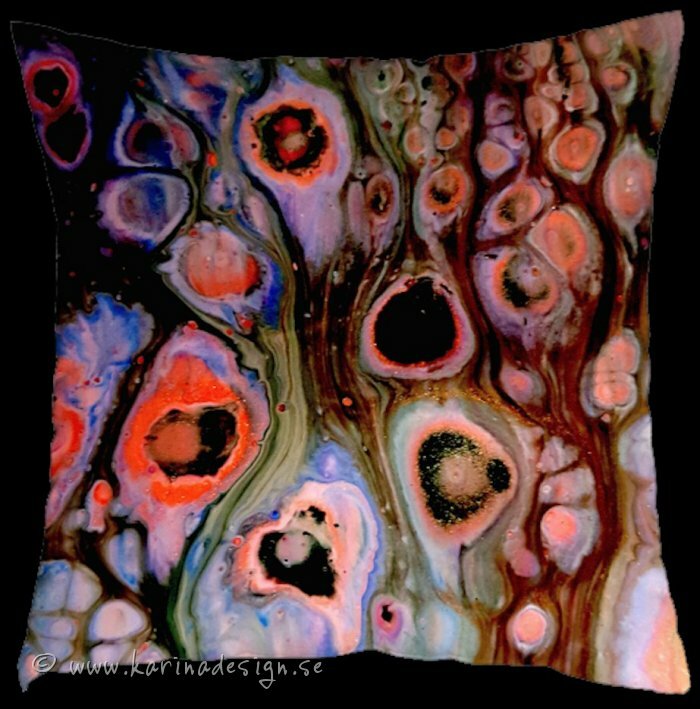 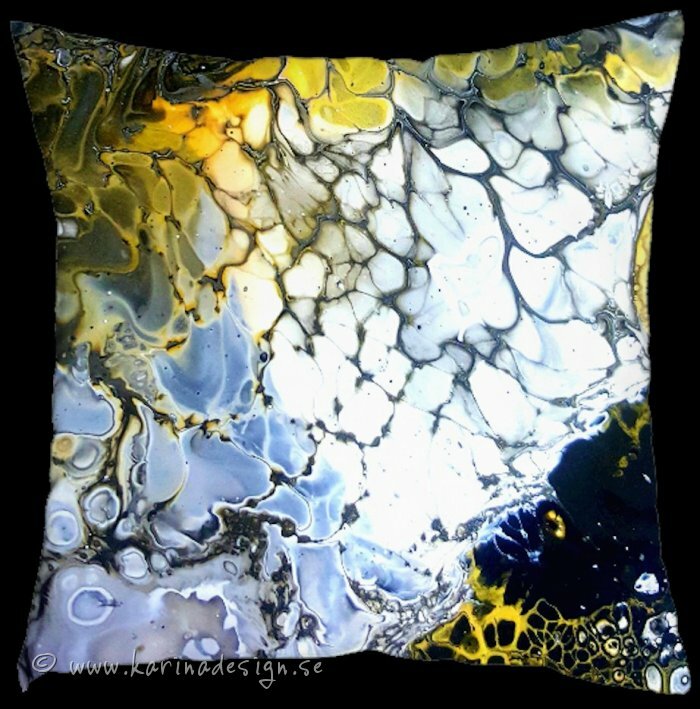 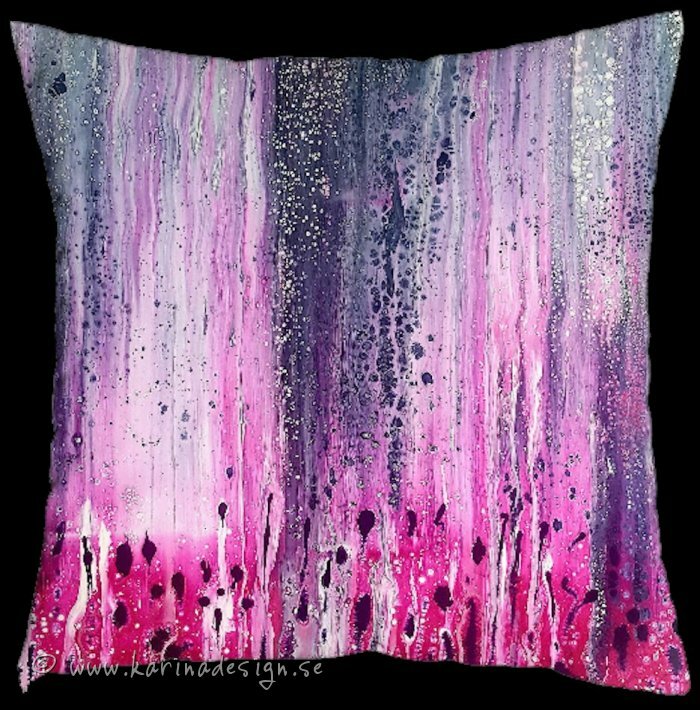 This pillows are designed by my original artworks. 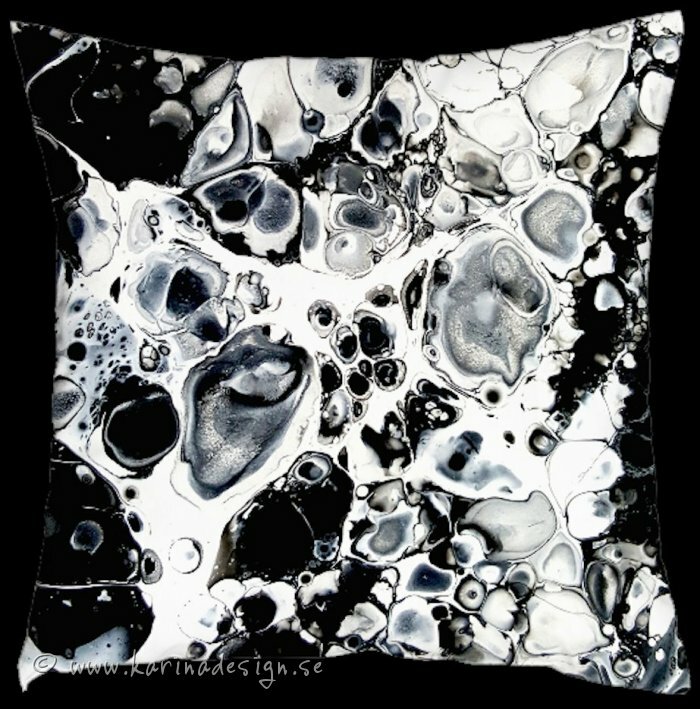 You can order any of them in 3 different sizes 30x30cm (30$),40x40cm (40$),60x60cm (55$). 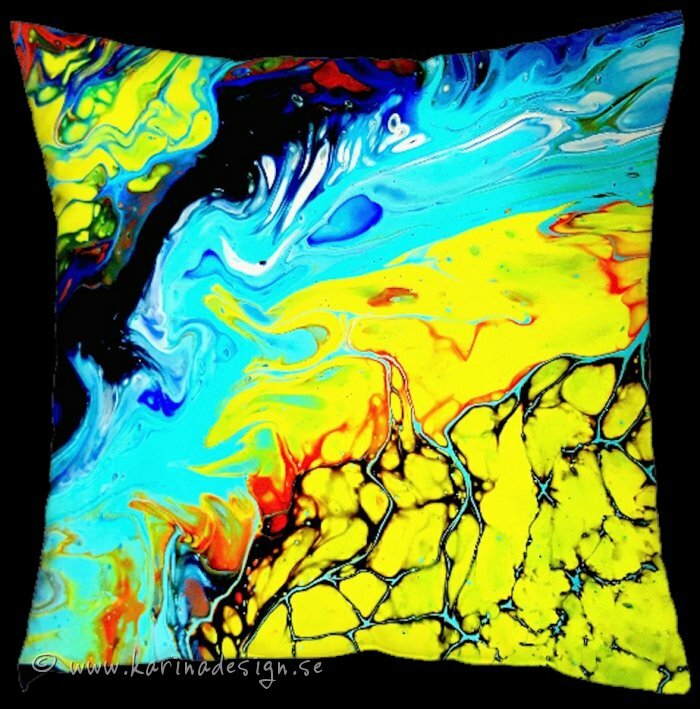 Every unique pattern will be printed on canvas fabric with vivid, laundry-safe ink that stay true to color. 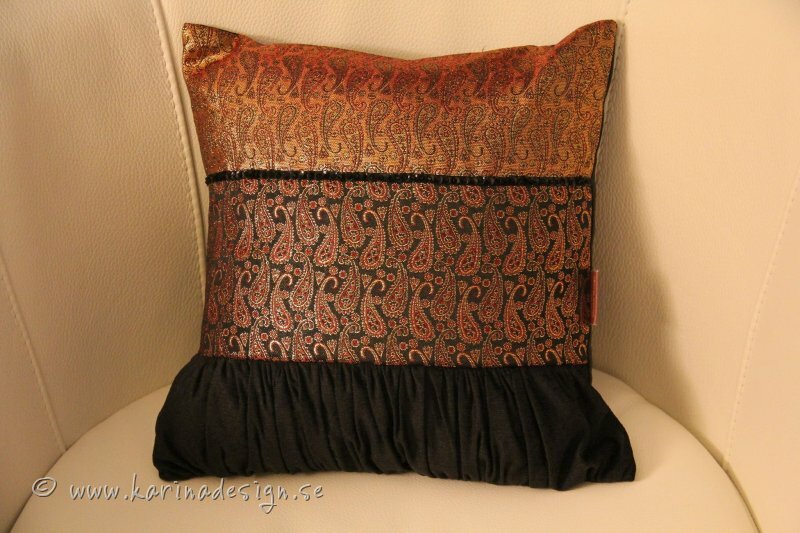 The pillow printed edge-to-edge on the front side and fastened with a discreet zipper enclosure. 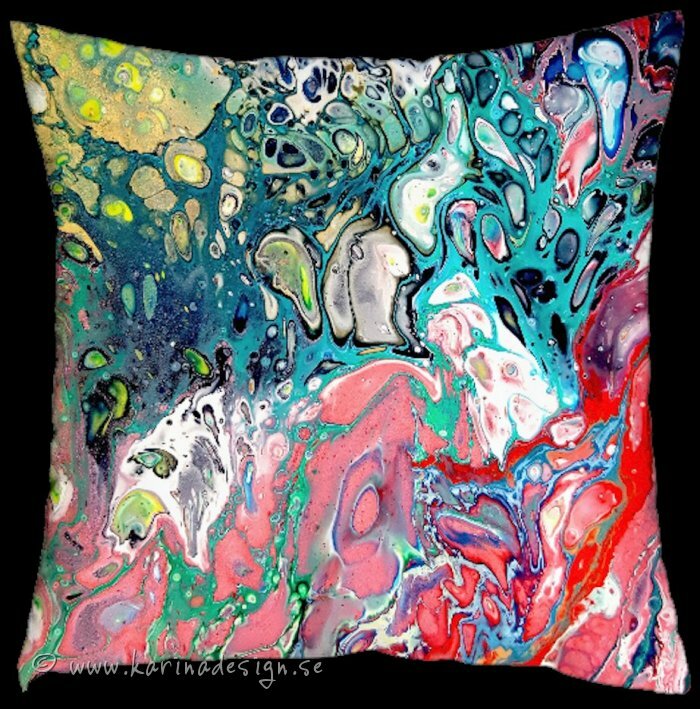 Soft filling. 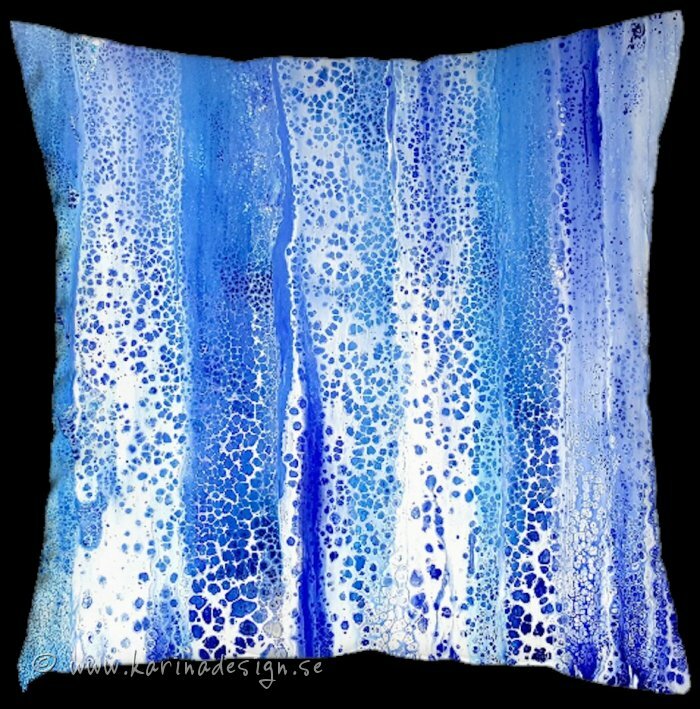 Wash 40°c. 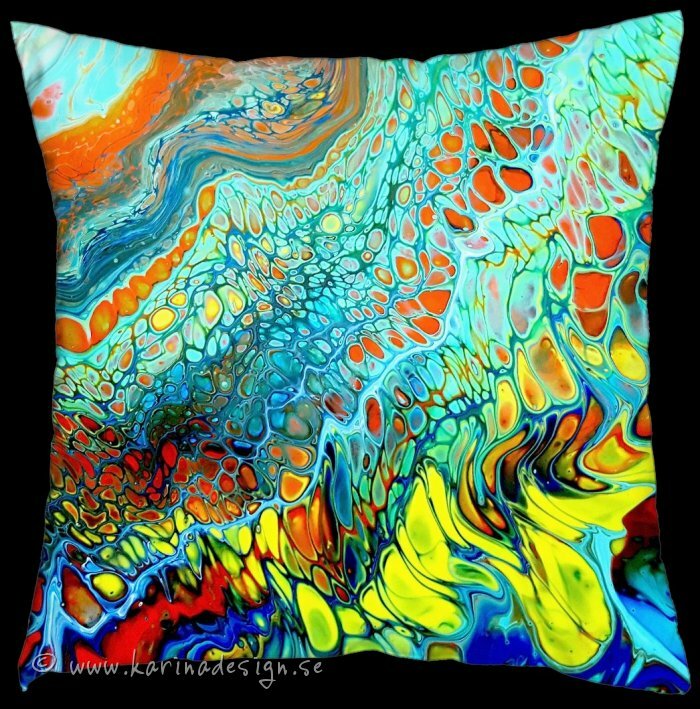 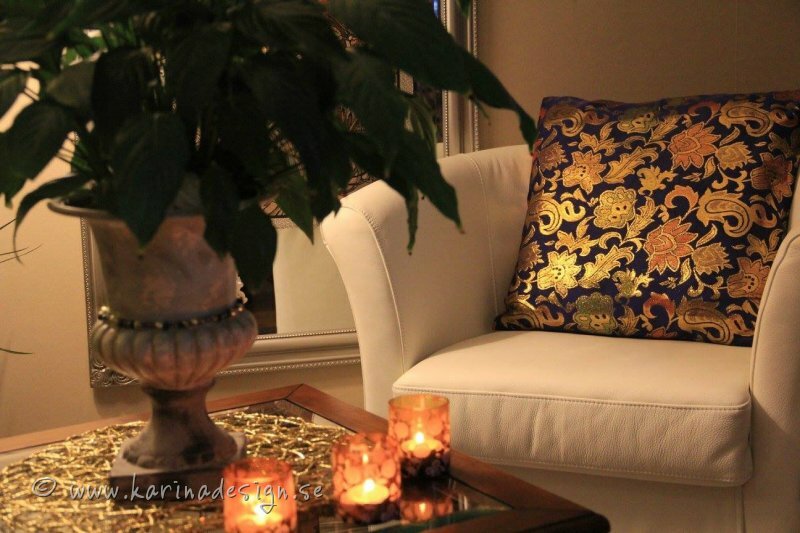 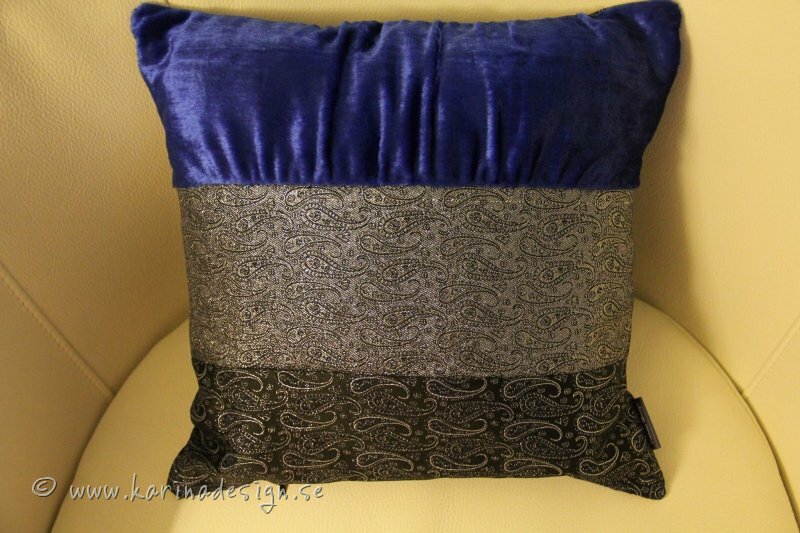 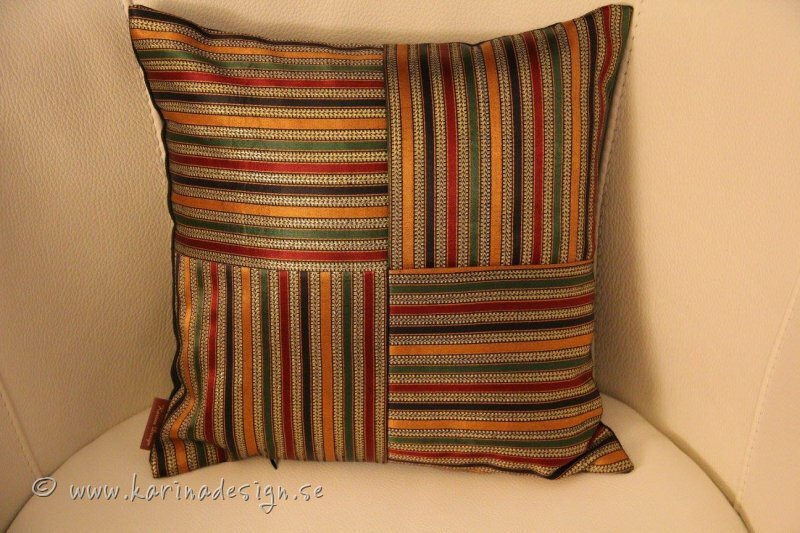 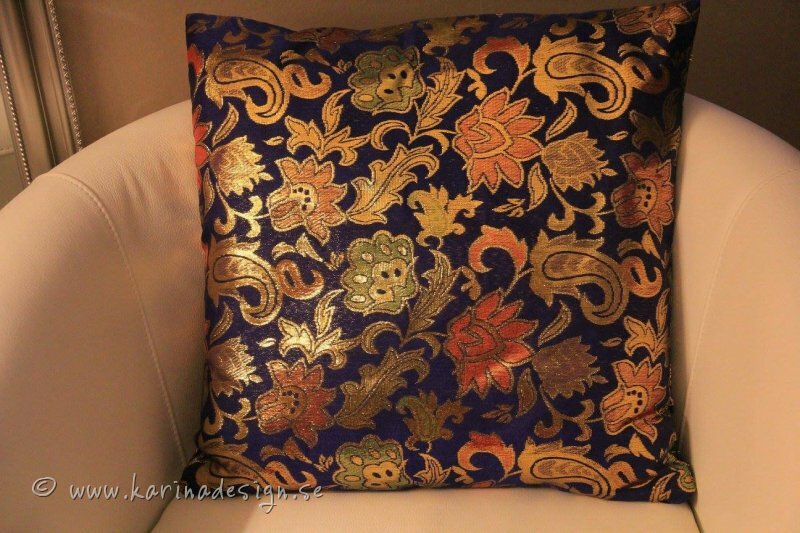 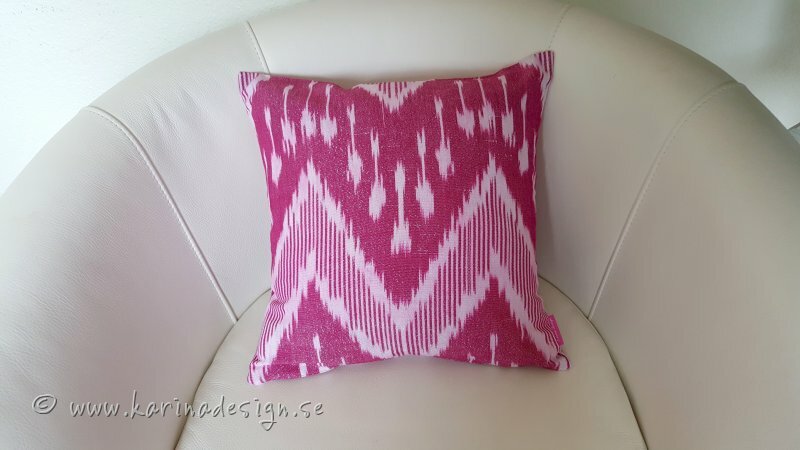 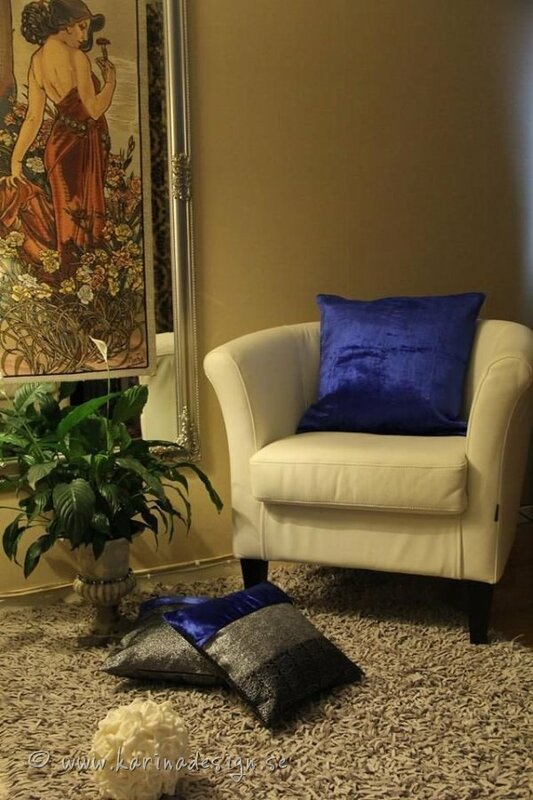 Great for living and guest rooms or as outside pillows. 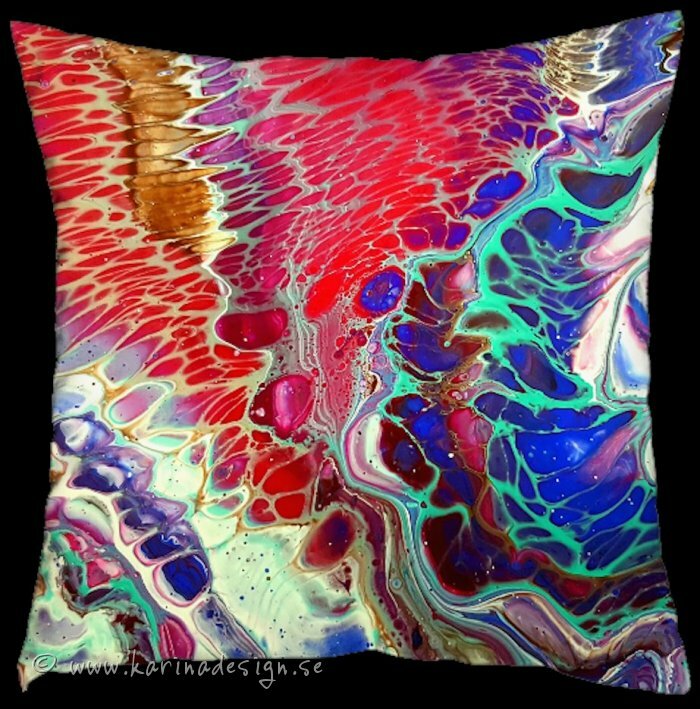 Just contact me and place an order if you want to create a whole new atmosphere at your home. 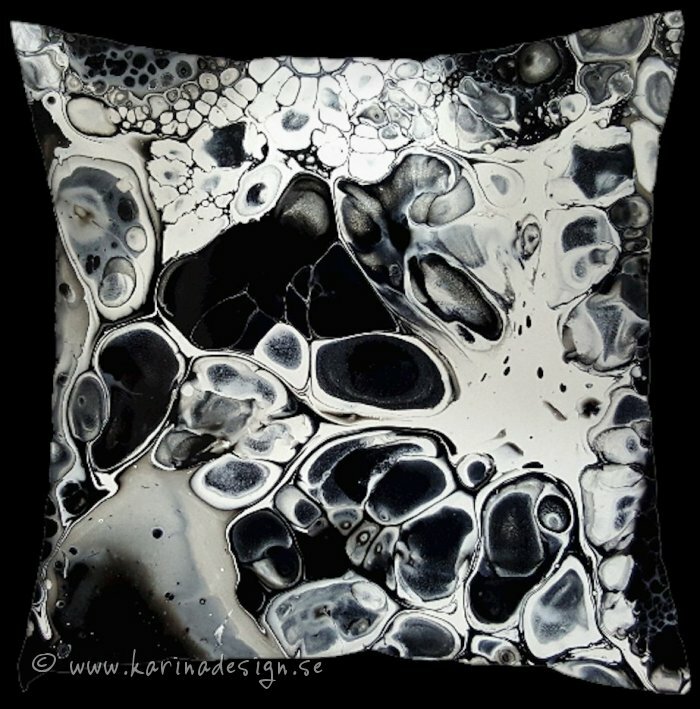 © 2019 Karinadesign.se. 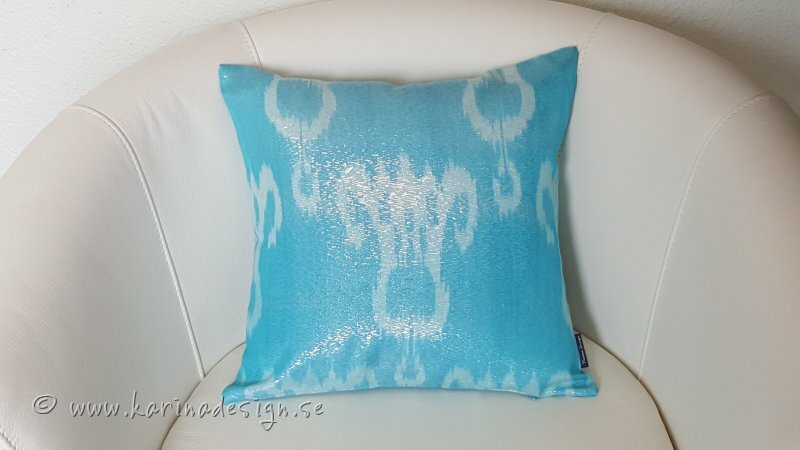 Alla rättigheter förbehållna.